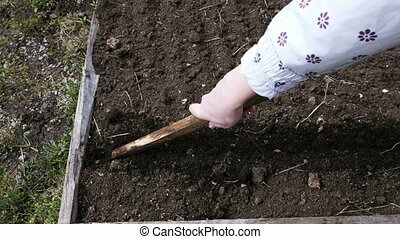 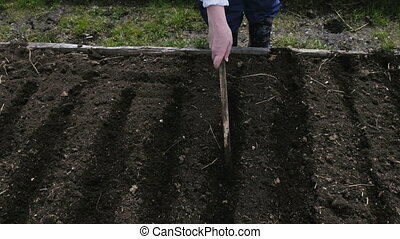 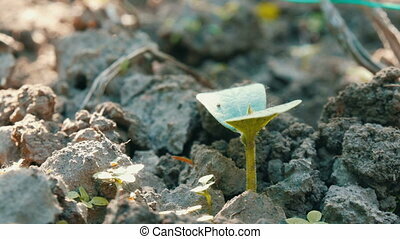 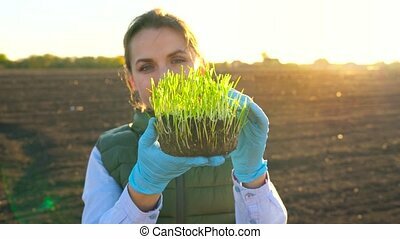 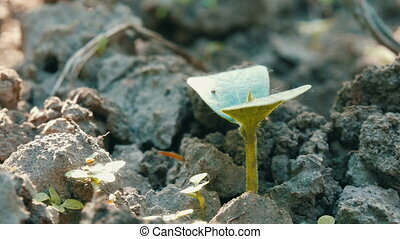 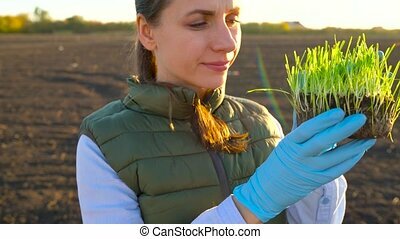 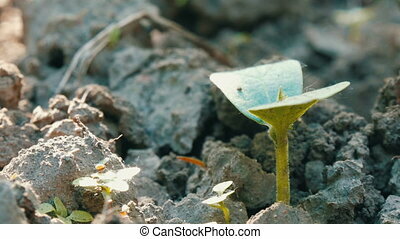 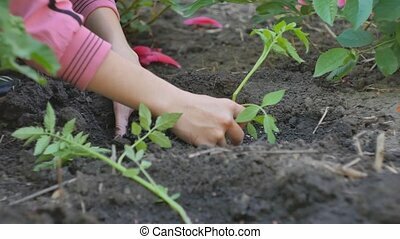 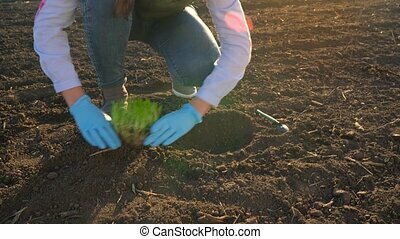 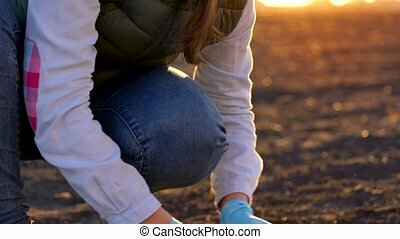 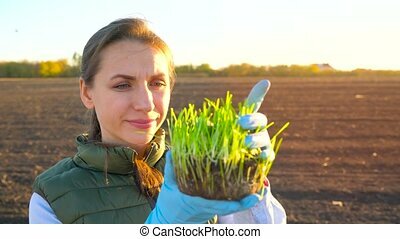 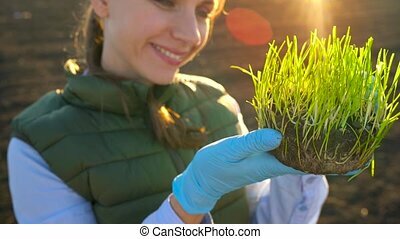 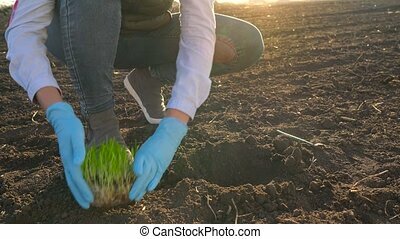 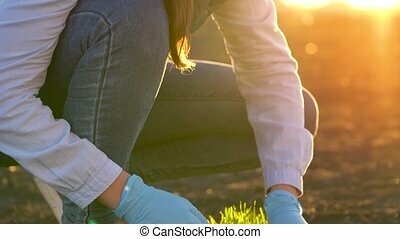 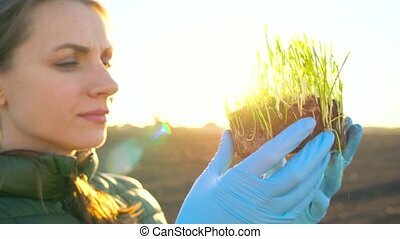 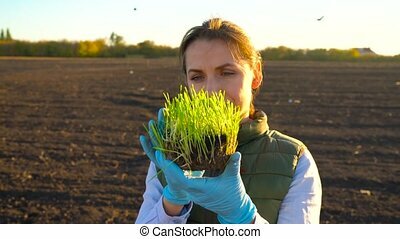 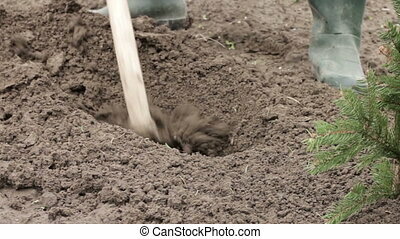 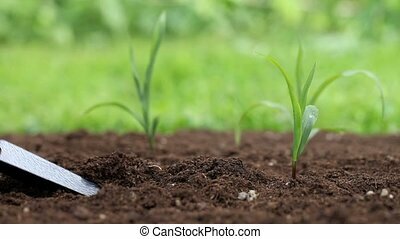 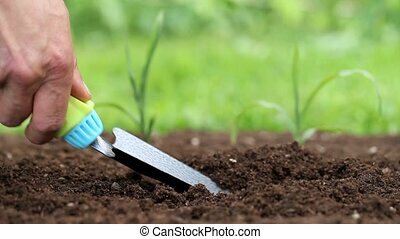 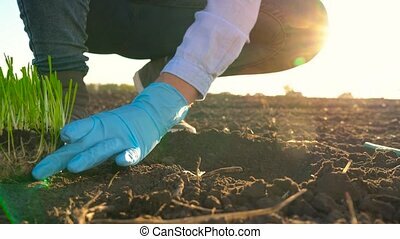 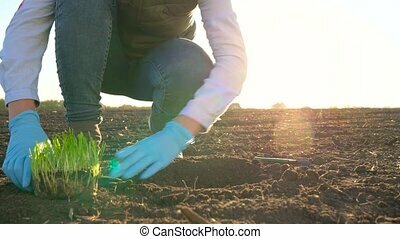 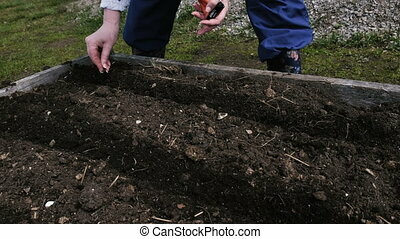 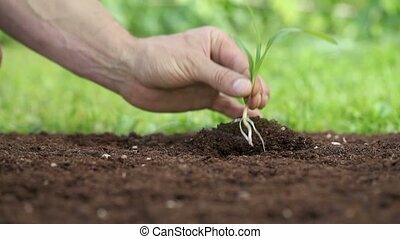 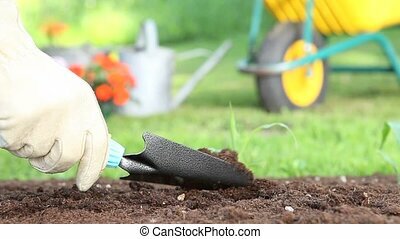 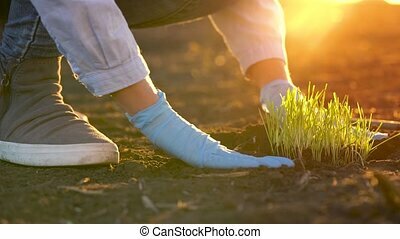 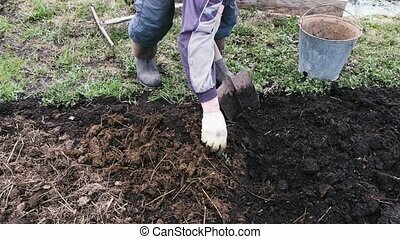 Female farmer puts a seedling prototype in the ground. 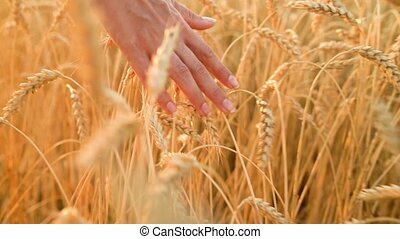 beautiful sunset on the background. close up.